I was trying to keep this as a surprise for Grant, but being that he won’t be here for 2 more months, I couldn’t wait and spilled the beans already. For me, doing stuff myself is kind of a way of life. I love the challenge of seeing something cool and knowing that there’s a possibility to do it myself. 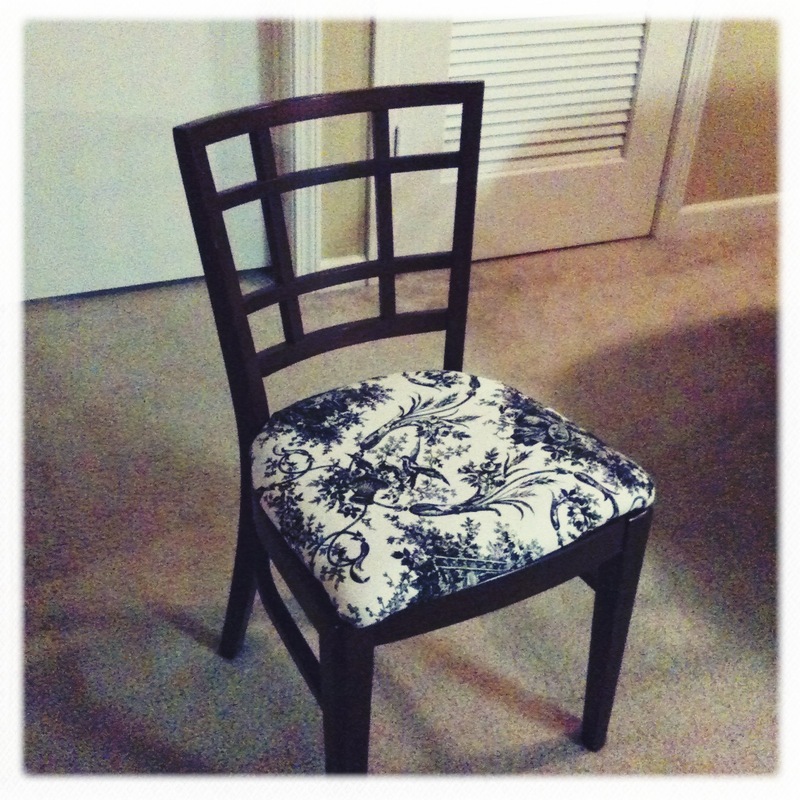 Here’s an easy DIY guide to making old, nasty thrift-store chair, personal and magical, because they’re “made” by your own hands! 1. 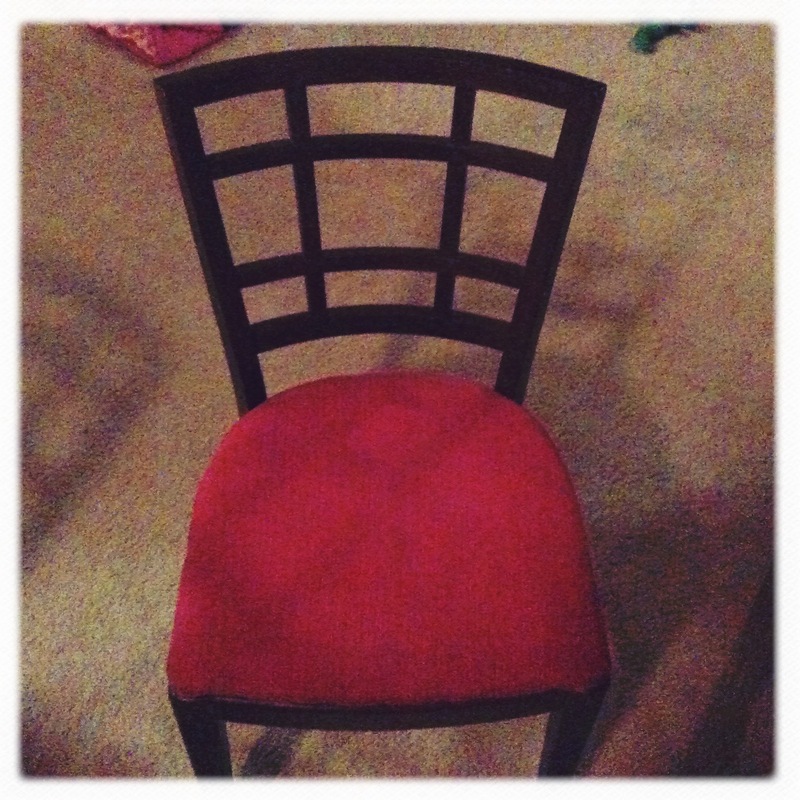 If you’re not re-doing your own chairs, you can find cheap chairs at a consignment or thrift store – When looking for chairs, make sure they’re made of real wood and that they have parts that can be removed, ie. cushions. In this case, I will end up sanding the chairs down and re-stainging them eventually, but for now, I’m just fixing the cushions. 4. 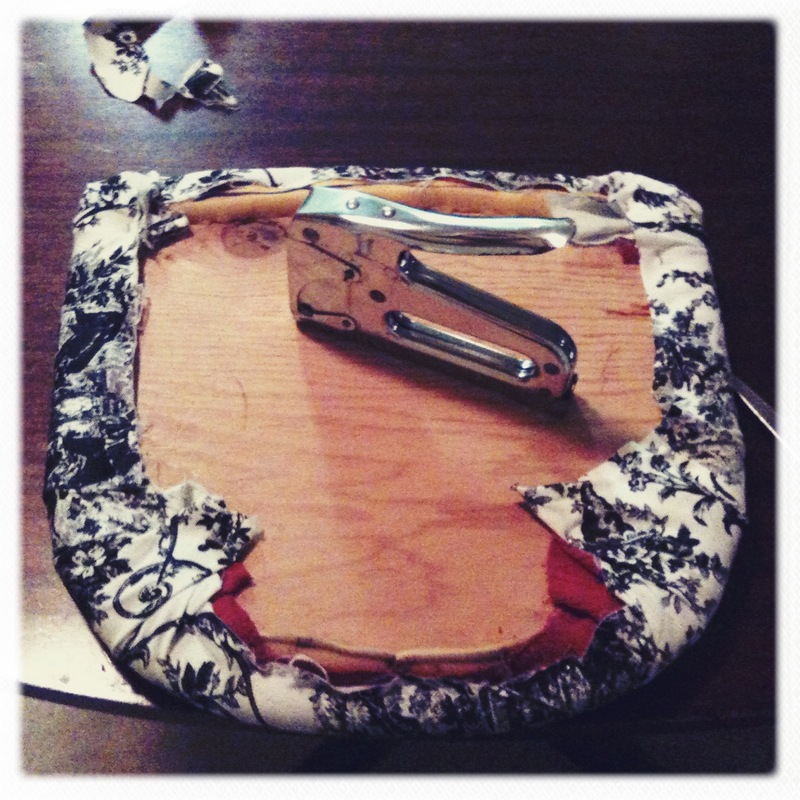 Measure and cut the fabric to fit the seat cover. 5. 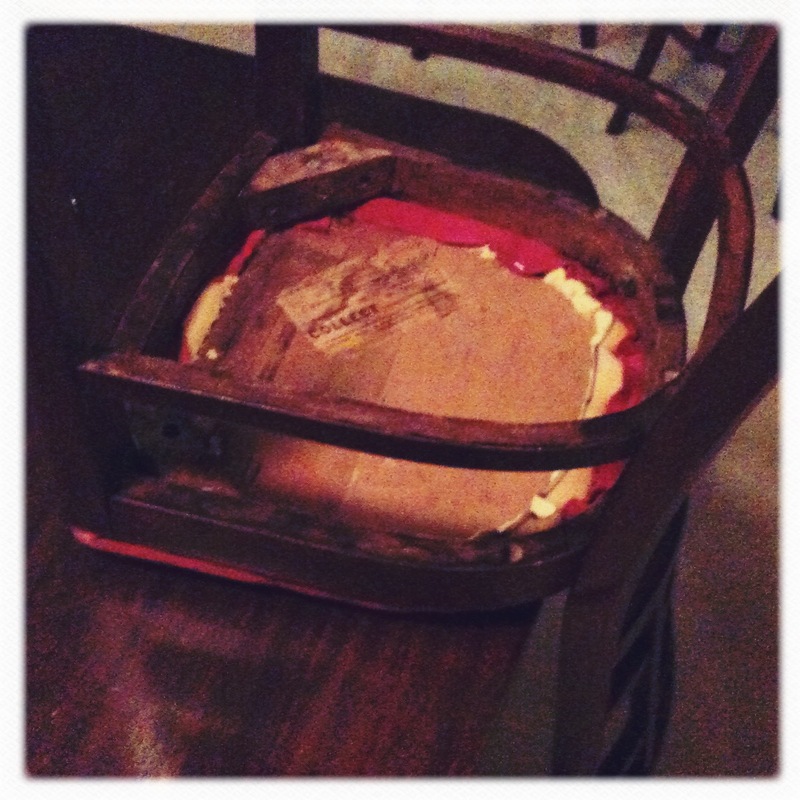 Using your staple gun, staple the edges with the least curve first, then work your way around the cushion. 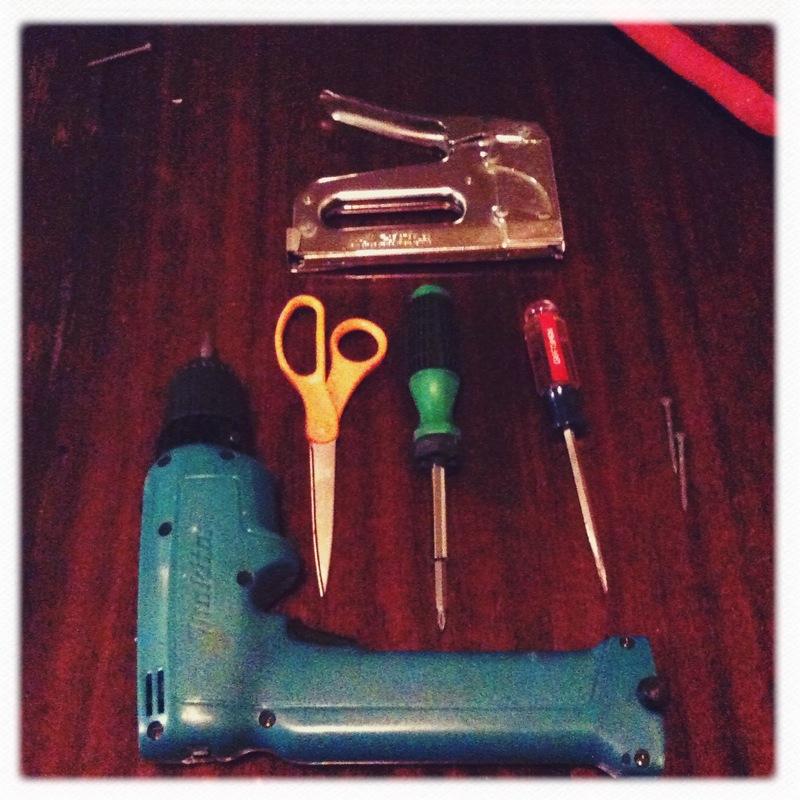 Try to avoid stapling the spaces where the screws have to be re-used, or you’ll have a mess on your hands. 6. Re-Screw the screws into the the seat cushion connecting the seat to the chair. You may need to buy longer screws, depending on how much fabric is used. 7. Be stoked. 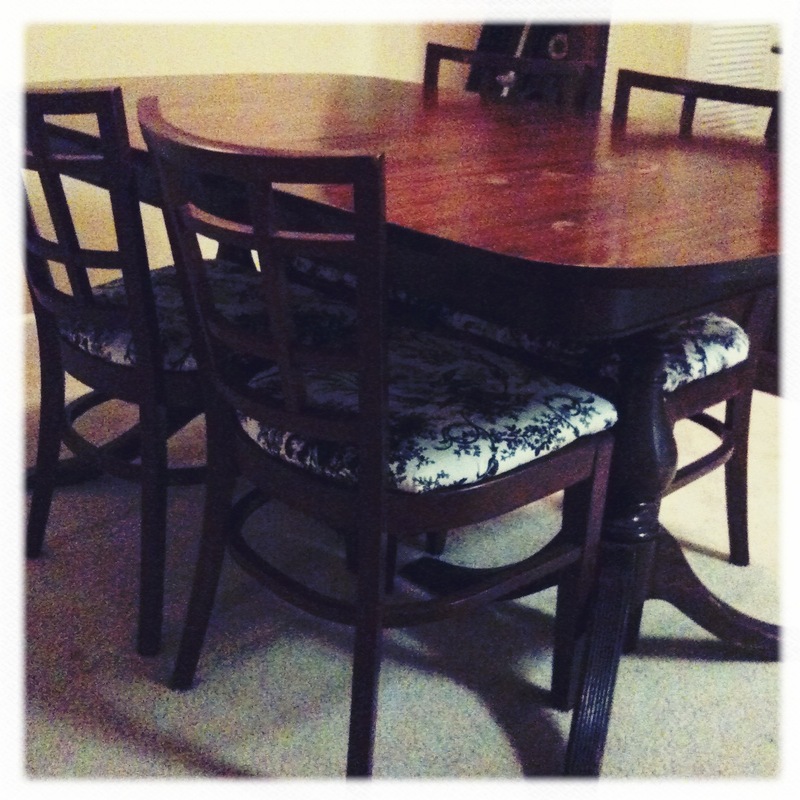 The best part of this process is that you can completely change the look of your old chairs in an afternoon!